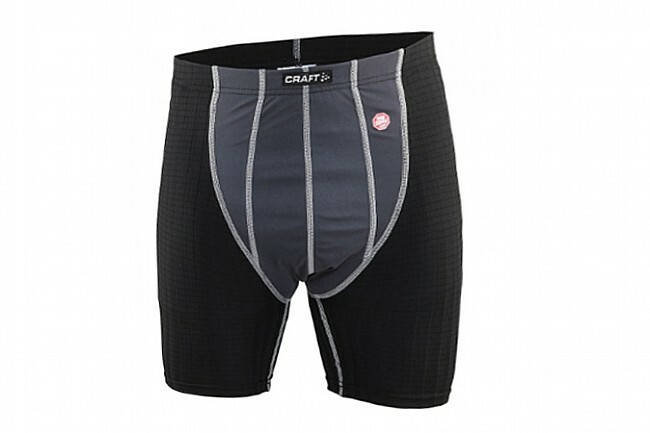 The Craft Men's Active Windstopper Gunde Shorts feature body-mapped Gore Windstopper panels on the front to maintain warmth around the critical waist area during cold and windy rides. The panels are still elastic, allowing the Gunde Short to retain mobility while riding, and flatlock seams prevent irritation or chafing. No chamois, to be worn over existing bike shorts. I use these for XC Skiing and biking short distances in cold weather. These shorts tend to move down over time and I prefer a chamois lined compression short for longer rides. They are good at providing wind protection, but wish they were a better compression short. Under Armor compression shorts have much better elasticity.